Yes, I was told that they are reviewing a "handful" of applicants and there are very few spots to fill. I remember that you were contacted by adcom on July 8th so that could be a good sign. Keep your hopes high. If there are spots to fill, they will be calling through 24th. I was contacted earlier as well to check if I am still willing to attend Haas if offered. Just checked my online status. I am dinged. Best of luck to those still waiting. Congrats to those of you who got in recently. Sorry to hear about the dings. I am still on WL and not too hopeful this late in the game... but who knows! It's easier said than done but don't lose hope. There is a reason they have kept you on the waitlist for this long. 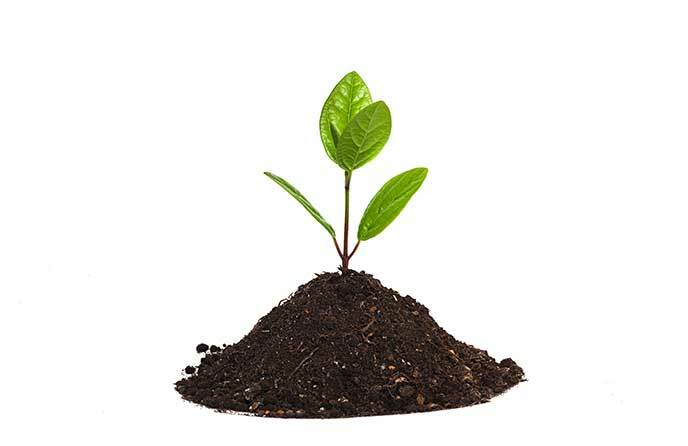 You have a strong profile but probably a small thing lacking in your application. Even in case you get dinged, then definitely reapply again incorporating the feedback Haas gives you. I have seen a few people getting in the next year while reapplying. Definitely analyze your whole profile objectively and see what are you missing. For those who are denied , what is the process to get a feedback session with the Adcom? I was dinged on the 17th of this month. I am still waiting for the invite for the reapplicant's chat. Can someone provide information on this? Yeah I wouldn't throw in the towel yet. Hopefully you get some good news soon and will be joining us next weekend! Ok people. yet another DING!! Sigh! On to other things... Have fun y'all, class of 2018! Thanks for all the info and the encouragement. I missed out on the re-applicant chat today. Can anyone tell me the highlights such as , how many people attended the session, what were the major points etc ? 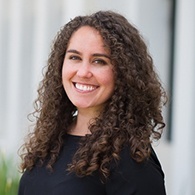 She moved from Southern California to Northern California, and from a quality department position to one in facilities when she started the program. Recently, she accepted a promotion into a technical assistant position—that’s Lockheed-speak for chief of staff—in THAAD, an engineering department that designs and sells sophisticated defensive missile systems. “This is a much more technical department that I’ve worked in before, and I’m not a technical person, which is actually an asset. 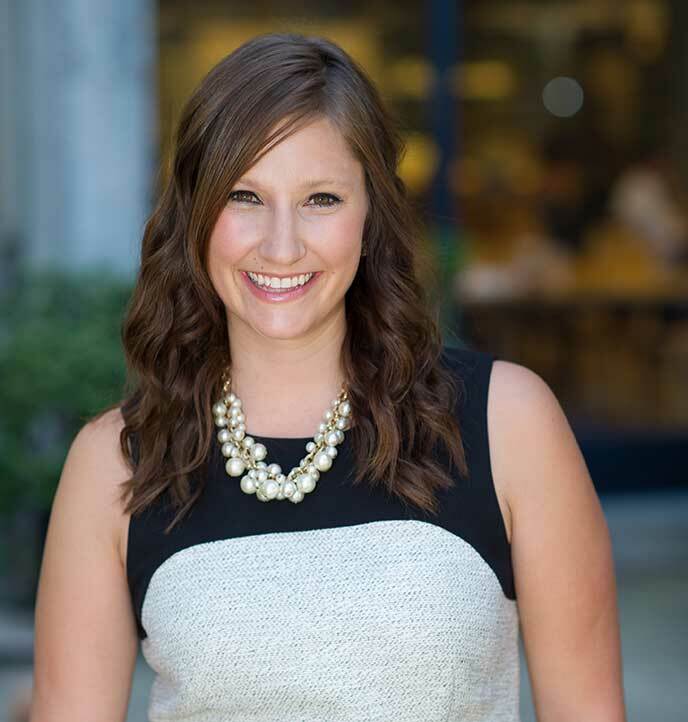 My role is really to help align the business and technical aspects, to connect with and engage our employees,” she says. “That means using a lot of the skills I learned in Leadership Communication, for example. Strategic. Articulate. Polished. And now, promoted—a good set of career takeaways. What could you take from a part-time MBA program? FROM The Berkeley EWMBA Blog: Am I Ready for an MBA? At Berkeley-Haas, we hear from thousands of aspiring candidates each year, and we've learned that those who are most ready for a program like the Berkeley MBA have clearly engaged in some self reflection. They've asked themselves what they have to offer and what they hope to get out of the business school experience. They've taken steps to confirm that the credential will, indeed, get them where they want to go—not just right out of school, but in the longer term. To help you get started, we've put together a free e-book: Five Signs You're Ready for an MBA. You'll find insights on the questions you need to ask yourself and the things you need to weigh before embarking on the application process. We've even added some thought-starters that not only help you determine your readiness, they give you the beginnings of a business school application. If you are considering an MBA, you're thinking some deep thoughts. About your future. About how you want to use your life. About what meaningful work means for you. It's an exciting journey, and we wish you the best. FROM The Berkeley EWMBA Blog: Free Ebook: Am I Ready for an MBA? At its core, a decision to pursue an MBA is a decision to take ownership of one's career. We hear often from students about the desire to explore and to move their careers forward in new ways. They also tell us they want to have greater impact and to refuel their passion for work. There are as many answers to that question as there are students—maybe even more if you consider the changes possible over the course of a career. Brian Lee’s studies in the evening and weekend program became his “springboard to accelerate my career in a new direction,” from being a civilian employee of the U.S. Navy to an internship with Wells Fargo Securities. For Skyler Soto, the switch was from the nonprofit sector to the retail space. Worried at first that she might be giving up on the Beyond Yourself Defining Principle, she soon learned that “social impact isn’t just the responsibility of the nonprofit sector, it can be woven into any company’s culture.” Today, she is proving that as a buyer for Target. Out of the 68 members of executive class of 2014, Joe Inkenbrandt was one of 16 who chose to pursue entrepreneurship. Aside from the executive skills he gained in the classroom, Berkeley-Haas gave him, “the confidence to do something I never thought was possible.” He founded Identify3D. Nearly 10 years ago, Indiegogo Co-Founder Danae Ringelmann, MBA 08, and her classmate Eric Schell had the “crazy" idea to democratize fundraising online. Today, she is chief development officer of Indiegogo, the largest global fundraising site. 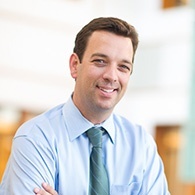 Robert Ford, started his executive MBA studies as vice president of Abbott Diabetes Care, progressed to president of the division, and then became executive vice president of Abbott's Medical Device Business. Along with a new business card, he's gained new insights, new ways of looking at and solving problems, and an “always awesome” cohort of classmates. 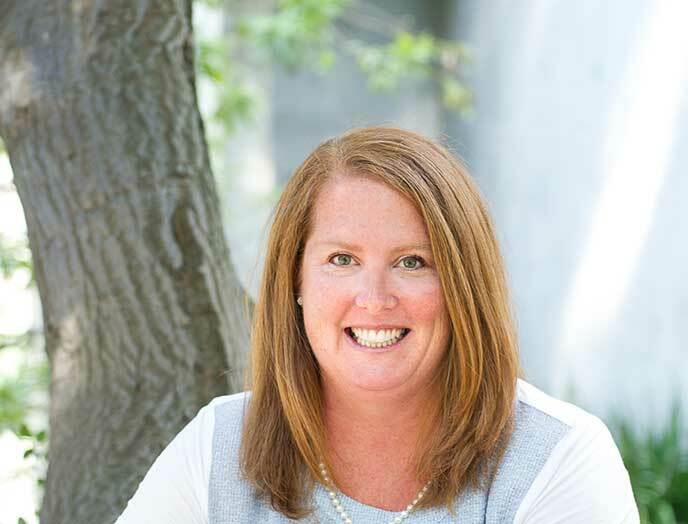 At Google, Leslie Hernandez Dinneen used concepts she learned in the Leading People class in her part-time MBA program (evening and weekend) to good effect when she took a role in a different part of the company to broaden her knowledge and skills. 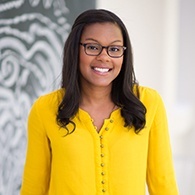 Today, she is a product marketing manager, Employment Brand, leading marketing strategies for Google’s People Operations Group.s Unit. An MBA is an investment you make in yourself. It delivers a foundation of knowledge, a set of skills, and a network that can play a strong role in your success (even while you're still in the program! ), but, like any major investment, it takes careful consideration and planning. Tuition is on a per-unit fee structure. For the 2015-16 year, per-unit cost is $3,047. With 42 units required to graduate, total cost over the progam comes to about $128,000. Books are an additional $1100 (approx.) per year. Included in the tuition cost are the two mandatory program retreats, an i-pad, and Saturday class lunches. Please note that tuition increases about 3-6% each year. 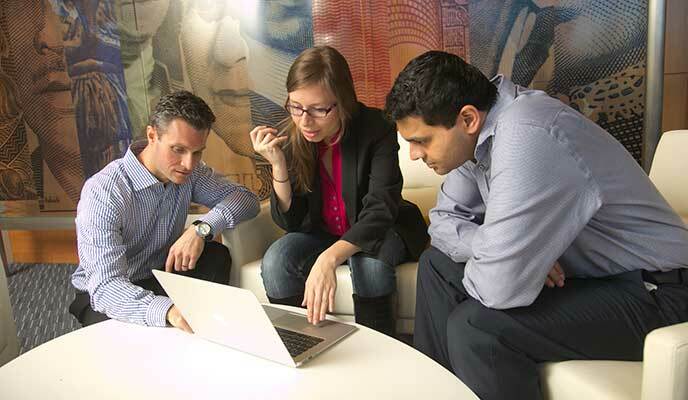 What percentage of students in your part-time MBA program receive financial aid? 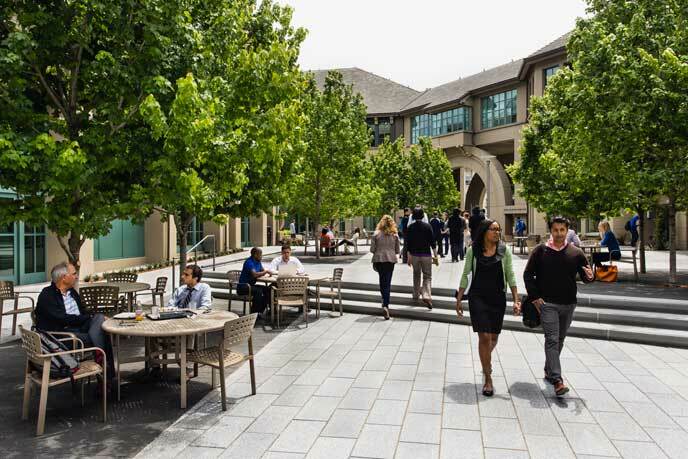 Approximately 70% of students in the Berkeley-Haas Evening & Weekend MBA program receive some form of financial aid. What are the financial aid options available for permanent residents/U.S. citizens? There are federal loans and private loans available to you as well as Haas scholarships. What financing options are available to those who are neither permanent residents nor US citizens? Both scholarships and international loans are available. When can I apply for Haas scholarships and loans? Once you have been admitted, you are able to apply for Haas scholarships. In the summer, you may then begin the process of applying for loans. How often will I make payments for my tuition and fees? You have the option of paying for each semester in full, due January 15th and August 15th of each year, or you may elect to enroll in the deferred payment plan for a $40 fee each semester. This breaks each semester's fees into 5 payments. - OOBA (Outside of Bay Area) Grants (up to $3,000)—For students commuting from outside the 9-county Bay Area (first year only). Are the scholarships awarded yearly or do students re-apply each year? Students can apply each of their three years (and possibly be awarded scholarship money each year). Are you allowed to apply to more than one scholarship? Yes, you may apply for as many scholarships as you like. But, we generally award only one scholarship per student as funding is limited. You would receive the scholarship for which we feel you are a best fit (but note that not everyone is guaranteed a scholarship award). What are MBA financing options for veterans? As part of the public University of California system, Berkeley-Haas is one of the few top-ranked MBA programs able to benefit from the expanded Post 9/11 Benefits. Depending on qualifying length of service, veterans can obtain funding for up to 100% of fees, a monthly housing allowance, and an annual book stipend of up to $1,000. Do you waive application fees for veterans? Yes. To thank you for your service, we offer application fee waivers for veterans who apply to any Berkeley MBA Program. Please see the bottom of our Costs and Financial Aid page for additional details. If I want to apply for company sponsorship for the Haas EWMBA, what should I do? Company sponsorship is an option determined by one's company. If your company elects to sponsor you, they determine the amount and the duration. UC Berkeley then receives the funds from your company each semester and applies them to your fees. I would like to finance my part-time MBA studies with student loans. Could I be disqualified based on income? As a graduate student, loans are not based on need, therefore income will not disqualify you. Which are cheaper—federal loans or private ones? For EWMBA students, private loans are, on average, cheaper. There are no fees for most private loans and the interest rate is based on one's FICO score, so students, on average, receive 4.9%. You can compare this with federal loans online on our Financial Aid website. While private loans do tend to have lower interest rates, they are also associated with more risk. It is not uncommon for students to borrow variable rate loans if they are confident they will be prepaying their loans in a short period of time. What's the credit score requirement for the loans with permanent resident status? The federal loans available to permanent residents are the Unsubsidized Loan and the Grad PLUS Loan. The latter is subject to a credit check and is looking not at your score, but for any derogatory marks. If you have checked your credit report and know that you have none listed on either of your three reports, then you should be credit eligible. Is it feasible to pursue both a mortgage and a student loan within the same year? Yes, we have had student receive both within the same year. Having a mortgage has not prevented our students from obtaining federal or private loans as long as they have nothing derogatory on their credit report. Are there any interest-free loan options available for grad school? There are no loans at the graduate level that do not incur interest. 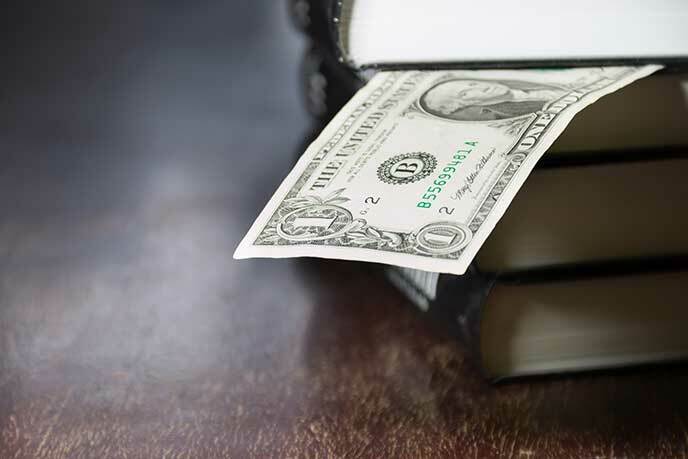 Our students are more commonly considering alternative financing options such as Home Equity Lines or borrowing from their 401(k), but while these may offer favorable rates, they also require immediate repayment. Note that student loans do not require that you enter repayment typically until 6 months after you graduate or drop below half-time enrollment (6 units). We hope this information helps with financing, a major consideration when contemplating going to business school. For more information, please view our financial aid page. In addition, we're always happy to help answer your financial aid and admissions-related questions. Feel free to email us at ewmbaadm@haas.berkeley.edu or call us at 510-642-0292. While an MBA is a major investment, it's also one with great potential for return. We invite you to see why people choose Berkeley-Haas. Restaurant kitchens are all about transformations: whipping egg whites and sugar into meringues, emulsifying egg yolks and oil into mayonnaise, stirring butter, flour and milk into a béchamel sauce. Part-time MBA programs are about transformation too. Aarti Shetty took her career from Biomedical Engineering to a Michelin three-star restaurant, where she is director of operations & finance. 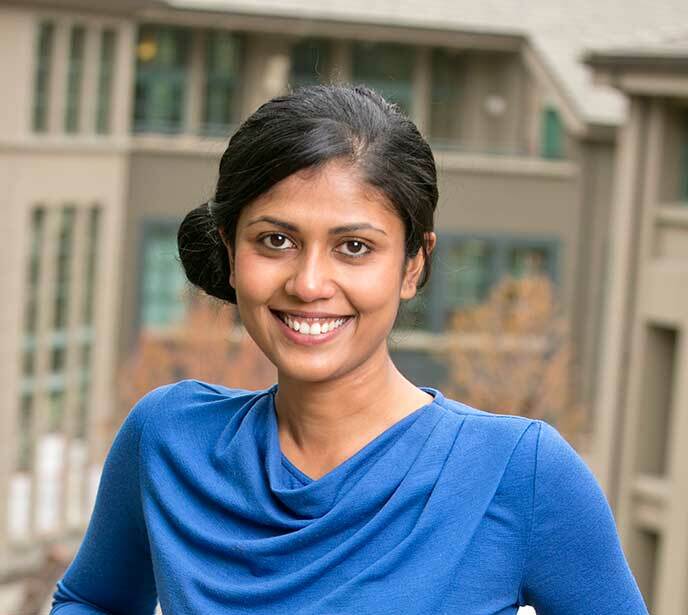 Before and during her Evening & Weekend MBA Program at Berkeley-Haas, Aarti did “stages” – the restaurant equivalent of internships—in kitchens in Texas and San Francisco, while pursuing her full-time career in the medical device industry. Chef Corey Lee, the culinary genius behind the Michelin-starred Benu and Parisian-style bistro Monsieur Benjamin, was a mentor and wrote a letter of recommendation when she applied to Berkeley-Haas. Now that Aarti is the Director of Operations & Finance at CL Partners, he is also her boss. Aarti, who graduated from the Haas program in 2015, is convinced her passion will eventually lead to an even bigger purpose—making a difference in the world through food. For now, she continues exploring the world of fine dining, and every now and again, welcoming her classmates at Benu or Monsieur Benjamin to celebrate milestones in their lives. 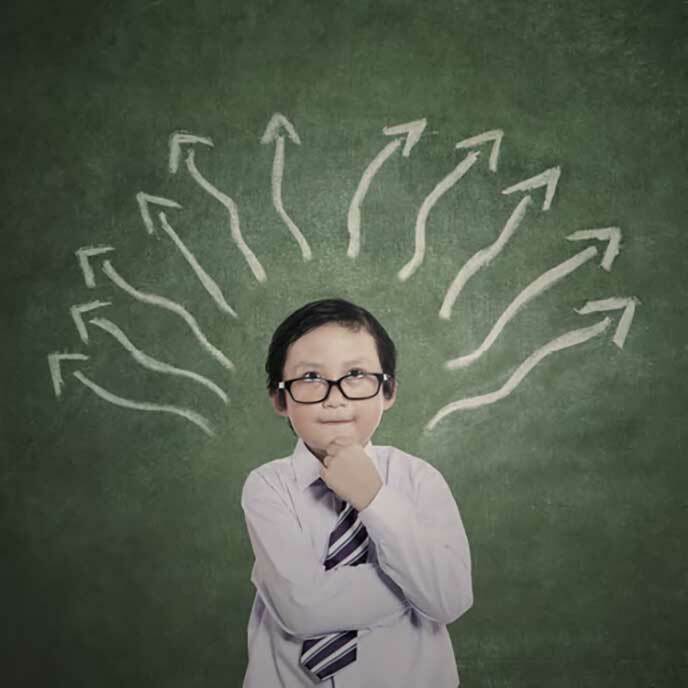 Thinking about pursuing an MBA as the next milestone in your life? Request information, and receive news and event invites from the Berkeley-Haas Evening & Weekend MBA Program. You might be ready for an MBA if...you can clearly demonstrate what you bring to an MBA classroom and business school campus. Most top-tier MBA programs are looking for candidates who can add significantly to classroom discussion through frst-hand experiences gained in the working world. While some schools are admitting younger students with less time on the job, they generally do so only when a candidate can show an accelerated career path and/or unique work or life experience. Why? Keep in mind that while you are looking to pursue an MBA because of what you want to learn, business schools are looking for what you have to offer. 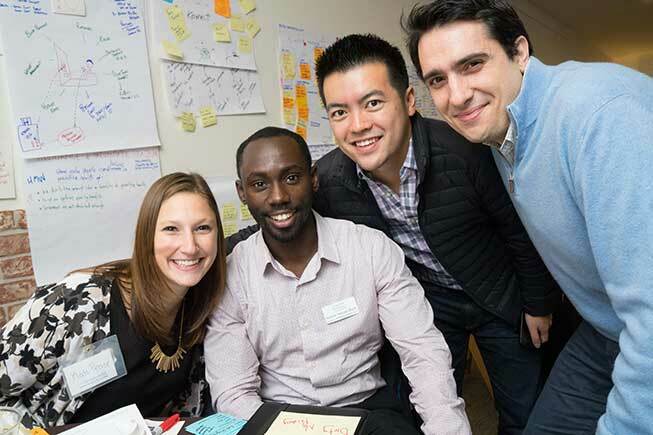 The ideal business school classroom brings together students from diverse backgrounds and industries, who can share best practices and skills developed in the trenches. Are you ready? 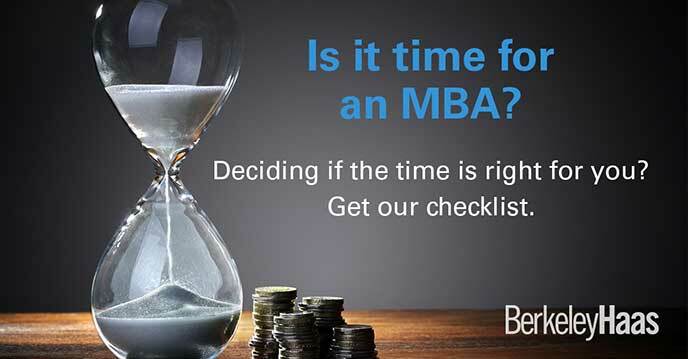 Download the free ebook from Berkeley-Haas, Five Signs You're Ready for an MBA, and find out. From seed funding to greater connections to UC science programs, Berkeley-Haas is strengthening support for students interested in founding companies and for those who want to join or who already work at startups. Initiatives include the Dean's Startup Seed Fund, providing $5,000 grants to early-stage startups that include Haas students. 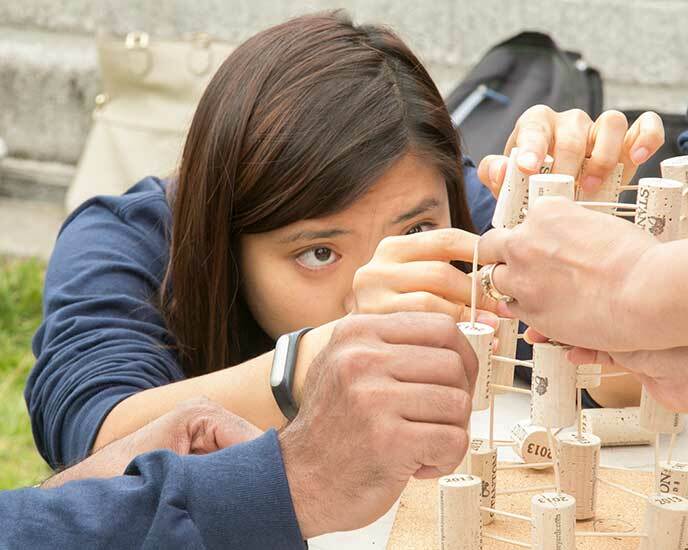 The grants will fund prototype development and customer discovery activities, skills that Berkeley MBA students build in the Problem Finding, Problem Solving course and through applied innovation coursework. “Our student entrepreneurs are already thriving within the Berkeley-Haas and Bay Area startup ecosystem,” says Dean Rich Lyons “This new effort will continue to build on and expand that success." Read thefull story at Haas Now and learn more about support for students offered through the Berkeley-Haas Entrepreneurship Program. 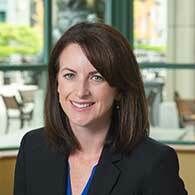 Berkeley-Haas welcomed backed 500+ returning students and 250+ new students this fall to the Evening & Weekend MBA Program, which seemed like a good time to hear from EWMBA Assistant Dean Courtney Chandler about the 2015-16 academic year. Here she highlights the numerous opportunities for career-building, intellectual challenge, friendship, and fun that lie ahead. Richer relationships and stronger connections. That’s my theme this year as we infuse the program with even stronger academic support services and more abundant student activities. On the academic side, we’ve launched a series of small-group advising sessions to target the specific needs of first-, second-, and third-year students. This allows advisors and students to form closer relationships as they map out the program together. Our goal is for advisors to know students better and provide more specific guidance, and for students to know they can always come to advisors and feel supported. Our part-time MBA students in the evening and weekend program also now have more opportunities than ever to network with each other, with numerous social and career-focused events organized by the Evening & Weekend MBA Association (EWMBAA), from networking gatherings to fireside chats on industry issues. With such great momentum, we’re seeing more and more students coming out to volunteer and support each other. A record number of second- and third-year students created a superb welcome for the incoming class at our fall orientation, known as WE LAUNCH, demonstrating the power and enthusiasm of the Berkeley-Haas network right from the start. Students also form close connections at our Mid-Program Academic Retreat (MPAR) for second-years. The program is more experiential, with the addition of our Applied Innovation course now part of this January retreat. Against the inspiring backdrop of Napa Valley’s Silverado Resort and Spa, students directly apply their learning from our required course on framing problems—Problem Finding Problem Solving—while working with companies and each other on rigorous innovation challenges. Of course, our emphasis on enhanced relationships and connections would not be complete without WE Connect, a state-of-the-program event held each semester that gives me the chance to share my EWMBA program priorities and the feedback I’ve received as well as hear from students about what is on their minds. Things stay just as busy in spring and summer, with two distinct opportunities for global learning. During our International Business Development course, students spend a semester working in small project teams, preparing to tackle the very real real business challenges of NGOs, companies, and nonprofits overseas. They then spend two weeks in-country, in locales from Senegal, South Africa, and Rwanda (pictured below) to Hungary, China, and the U.K.—and return energized and excited about what they’ve learned and the impact they have. On our Seminars in International Business, students spend two weeks exploring the culture, history, and business environment of various countries, such as South Africa, Brazil and Japan. Traveling in groups of 20, they come home incredibly bonded with their classmates. As the year progresses, I look forward to getting to know our students even better and to hearing their personal stories. I am always amazed by all they are doing while juggling classes, full-time jobs, and the demands of their personal lives. Not only that, they are getting promoted, switching jobs, and starting companies—the impact of their efforts is felt far and wide. Want to learn more about the Evenng & Weekend Berkeley MBA Program? Request information, and we'll keep you updated on special events and the latest news.